In many professions and business setups wherein a training duration is a must for new or existing employees, the high-up ranks ensure the training programme does not conclude without each trainee receiving, filling and submitting his or her own Training effectiveness evaluation form. Sports bodies carry out various extensive athletic training programmes before the commencement of any sportive event. 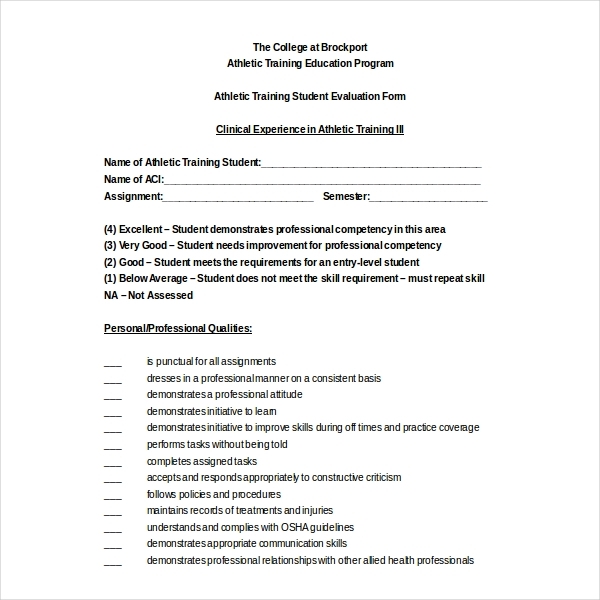 After the training period is complete, trainees are encouraged to give their feedback and comments by filling an Athletic training evaluation form. Questions pertaining to the training modules, regimen, as well as the assigned trainer’s behavior, communication and overall performance are up for marks or grades. 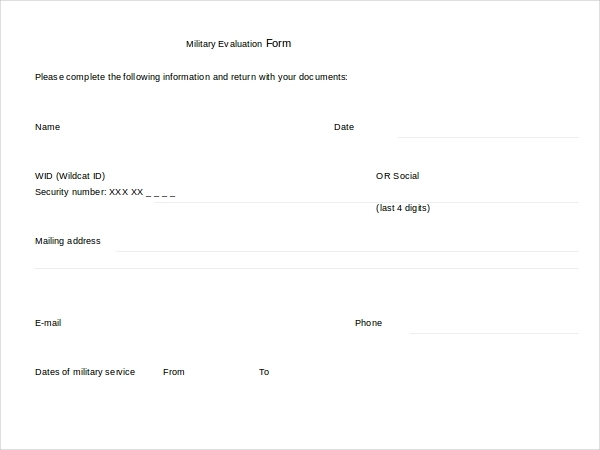 You can see a form sample to get a better idea. Soldiers from different regiments are asked to participate in gruelling training sessions so that they are gun-ready and battle ready. Each cadet is given an army training evaluation to pen down his or her views about the training. 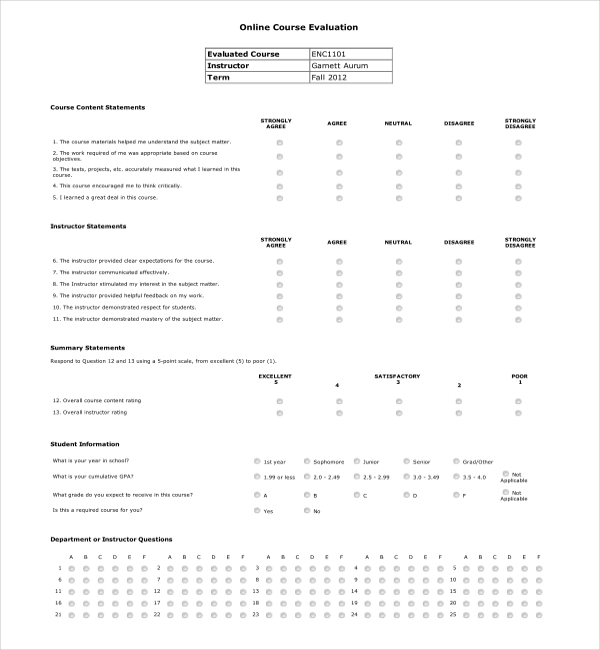 Most often, Army training evaluation form features qualitative and quantitative questions. 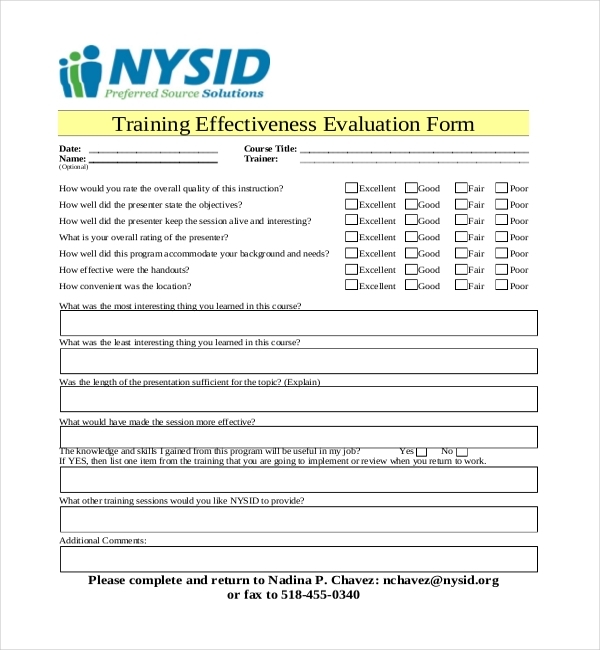 The Course training evaluation form will comprise of questions pertaining subjects such as to how well you’ve understood what has been taught to us thus far, do you have concepts-clarity, and is the trainer good at teaching. 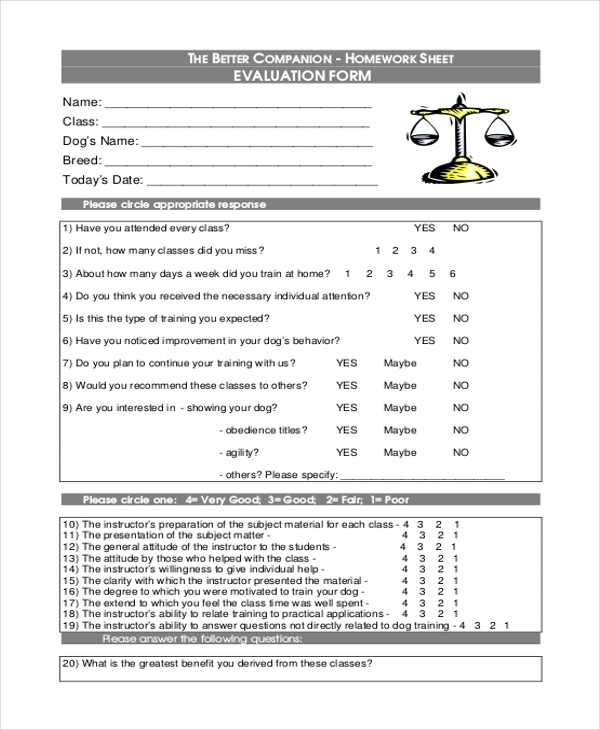 After the training is completed, dog owners get requested to fill up a Dog training evaluation form, giving an expressed assessment about the training programme and how or how not it has impacted on the dog. 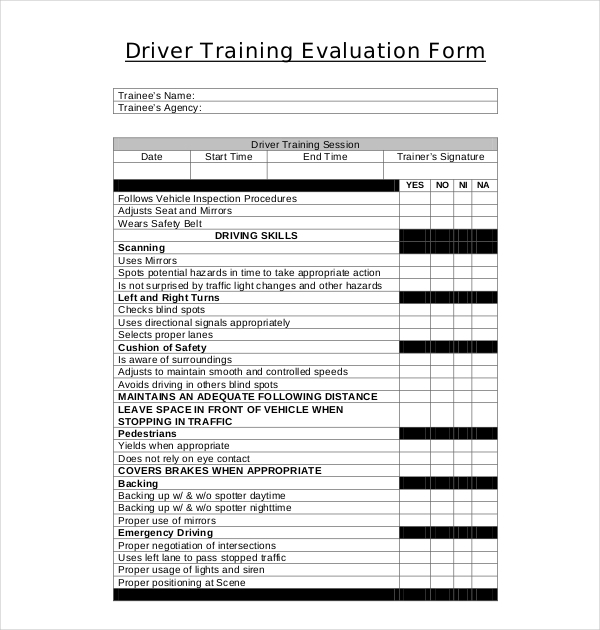 In driving schools, after you’ve successfully completed your driver’s training, your trainer is going to fill up and submit a Driver training evaluation form. 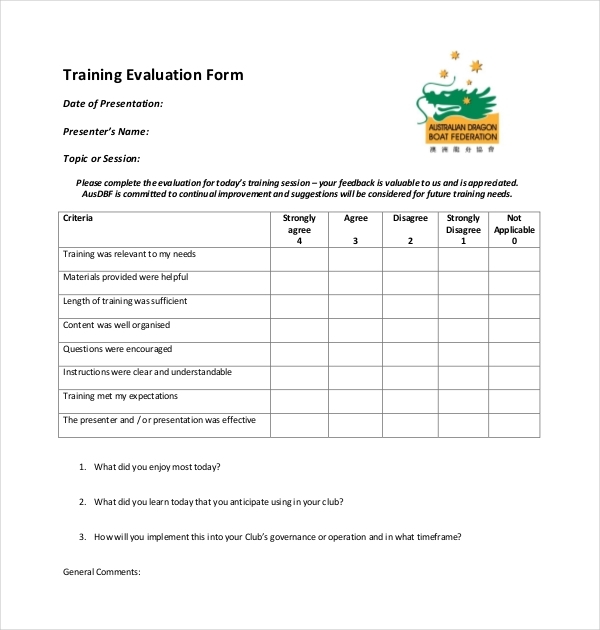 The form, such as this sample that you see here, comprises of a lot of questions, seeking trainer’s review on the trainee’s overall driving capabilities – strengths and weaknesses. Forklift training is a daunting task. However, once a trainee has passed through all of the stages of forklift training,the form would be filled out by the trainer to verify the trainee’s proficiency levels at handling the heavy-duty equipment. Based on the comments in the Forklift training evaluation form the trainee will or will not be issued a forklift licence. After the conclusion, the participants are requested to give their feedback on an Internal training evaluation form, telling the organizers about the experience, points of improvements, and general remarks. 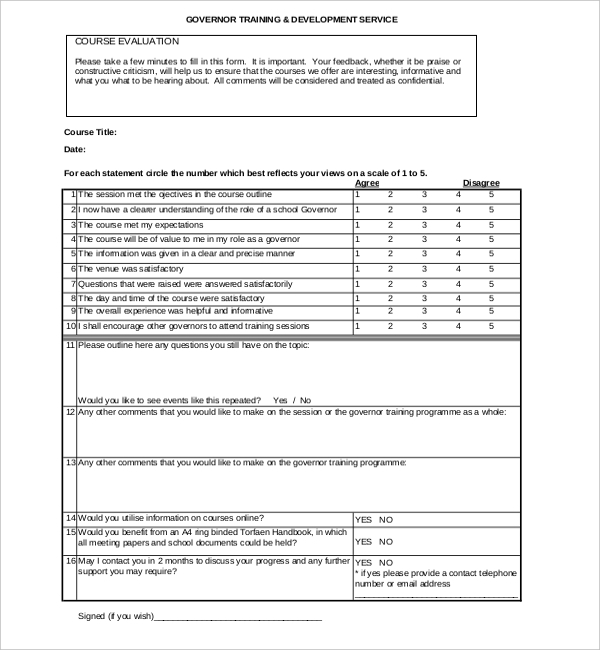 Post course completion, an Industrial training evaluation form is given to gauge the quality of training meted it out by the trainer and the effectiveness of the same. 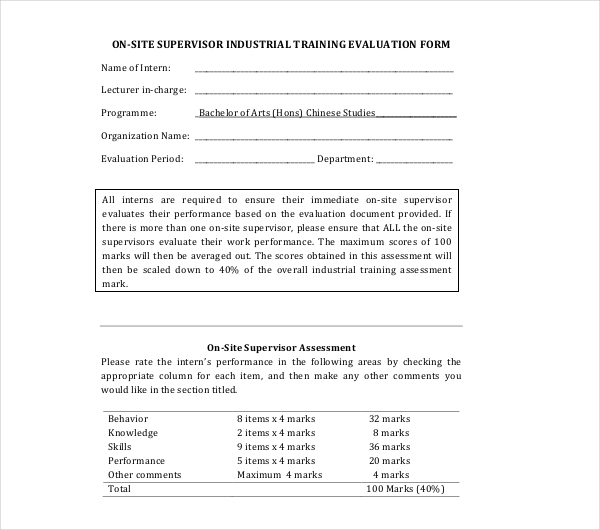 A Job training evaluation form is asked to be filled out by the candidates, so that the authorities can understand how far the sessions have been helpful. After the training candidates must fill out a Management training evaluation form so that the company’s higher-ups can know how penetrative and helpful the training really was. 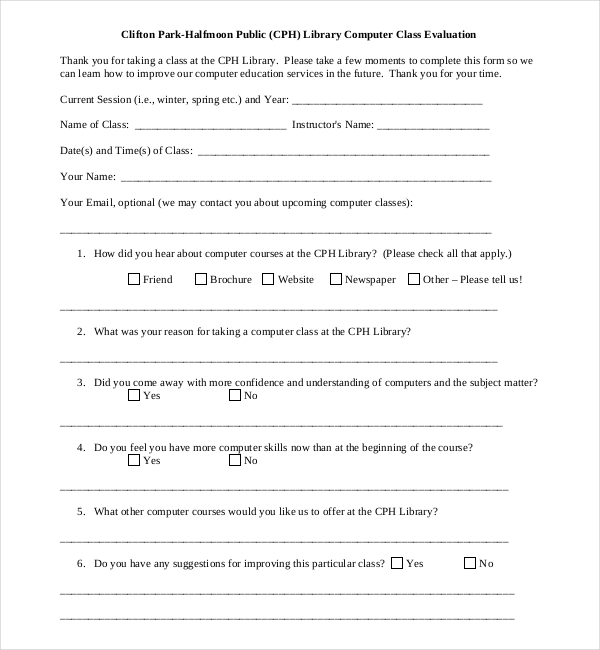 Online evaluation forms are easily accessible online. Some of them allow downloading the form, and then it can be sent to the concerned authority via email. 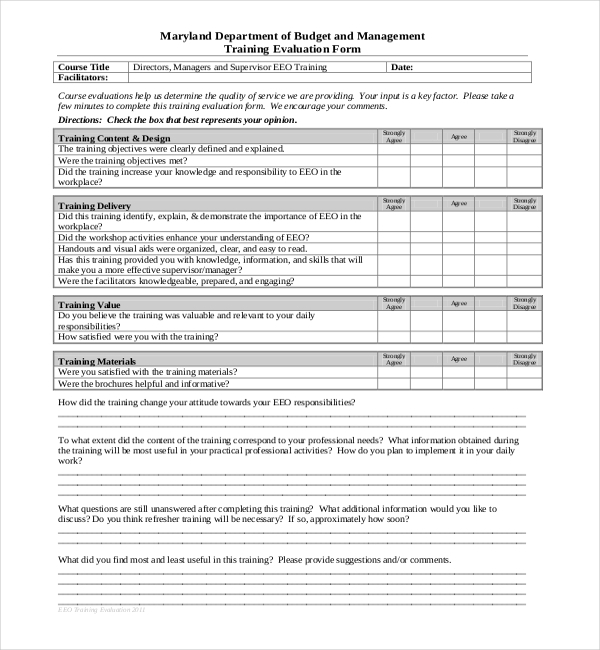 Check out this form sample. Post training evaluation form marking the good points and not so good points which they may have discovered during the duration of the training session or programme. Before volunteering program volunteers must participate in a training programme to acquaint themselves with new requirements of a certain event. 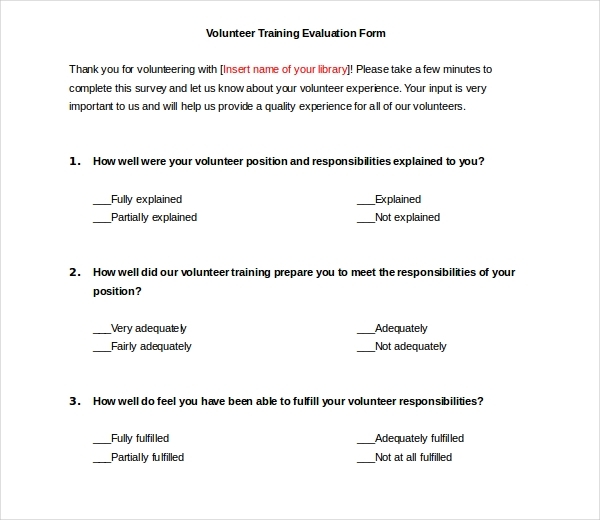 After training, volunteers evaluate the effectiveness of the training program on a Volunteer training evaluation form. This sample gives you an example of the basic form structure and layout. Workshops are an oft occurrence for various purposes and reasons. It’s also important to collate information if the attendees liked what they learnt in the workshop. 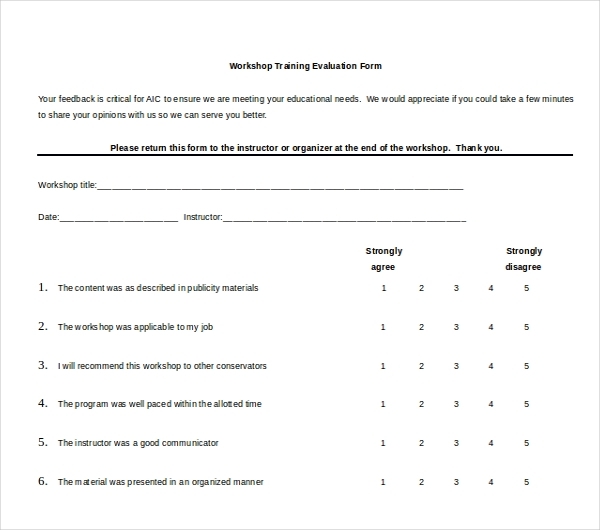 For this reason, a workshop training evaluation form is essential for feedback about the contents of the workshop. 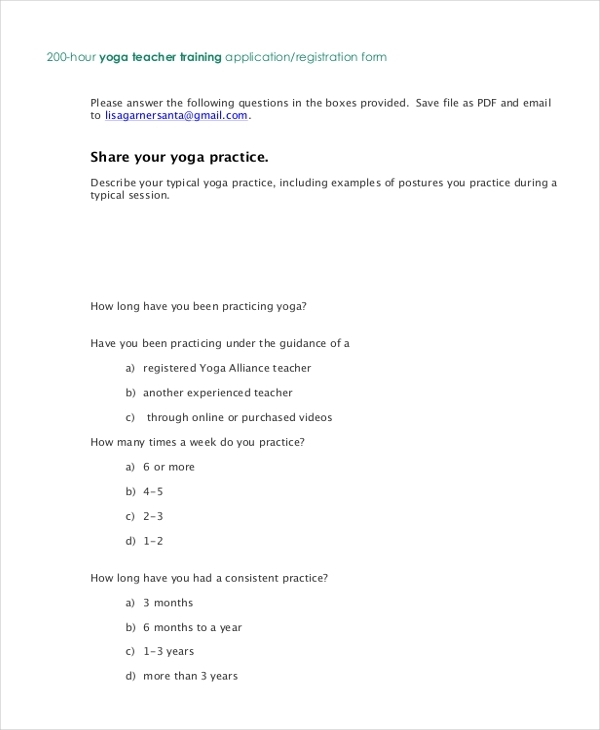 A Yoga teacher training evaluation form helps trainers gather feedback from trainees so that they can keep tabs and get to know more about trainees’ expectations and suggestions.